All students and families in grades K‐6 are encouraged to participate in the Science Fair. 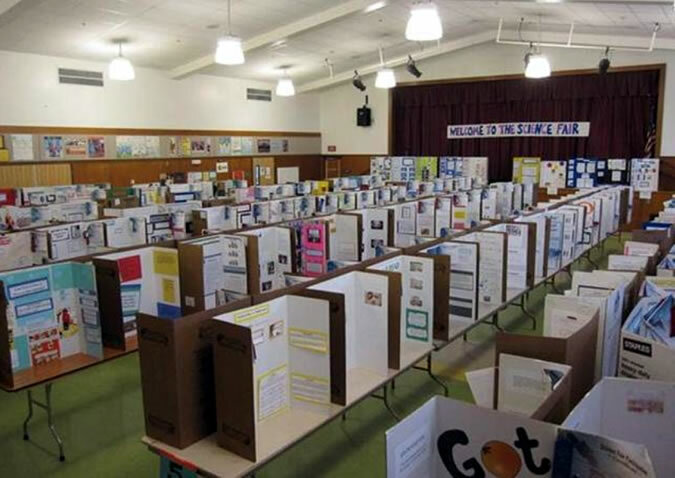 Examples of past science fair projects will be on display outside of the Multi‐Purpose Room. Grades K–3 may enter a collection, scientific explanation display, observation, a science model, or a problem solving experiment. K‐3 Students choosing to enter a problem solving experiment are encouraged to refer the Grade 4‐6 instruction packet. Students will receive a “Young Scientist” ribbon and a certificate of participation. Grades 4–6 enter a problem solving experiment that utilizes the scientific method. All projects will be judged by scientists in our community. Students will receive a place ribbon and a certificate of participation.